The main objective of this project is to provide auto irrigation system to sense the soil moisture level. And this level of sensing is done by soil moisture sensor which detects the moisture level and also provides moisture level to various crops in an automatic manner. When the moisture level of the soil is decreased below a certain level then the sensor sends the detected value to the micro controller. According to the value that is sensed by the sensor, the water is supplied to the crops automatically to the desired level in order to maintain the moisture content in the soil. The theme of this project is to reduce the human intervention (farmers) and use solar energy tracking system which is one of the non-renewable sources for irrigation purpose. The overall system controlled by the micro controller and GSM module. Vignesh Mahendran, Vignesh Veeramani, Vignesh Nataraj, Prakash Murugesan, Prabhu M K. "Solar Powered Automatic Irrigation System by Advanced Applications." 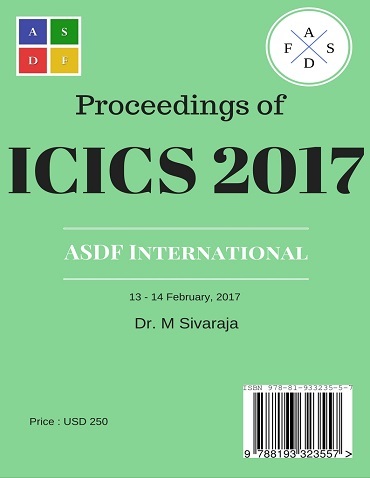 International Conference on Intelligent Computing and Systems (2017): 16. Print.